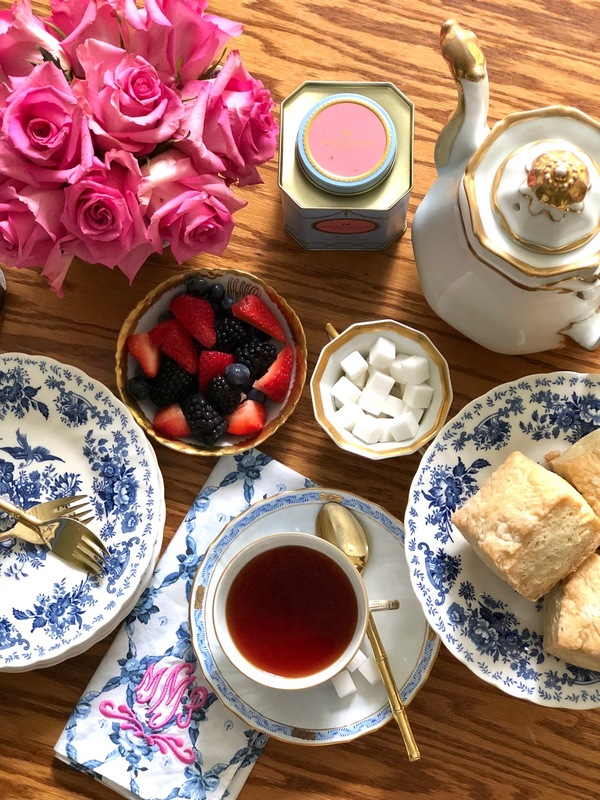 Just like so many others I was up while it was still dark on Saturday morning with a large cup of tea ready to take in every single moment of the royal wedding. I was beyond excited and for so many reasons. Harry has always been my favorite, the younger and almost rebellious son of the incredible Diana. 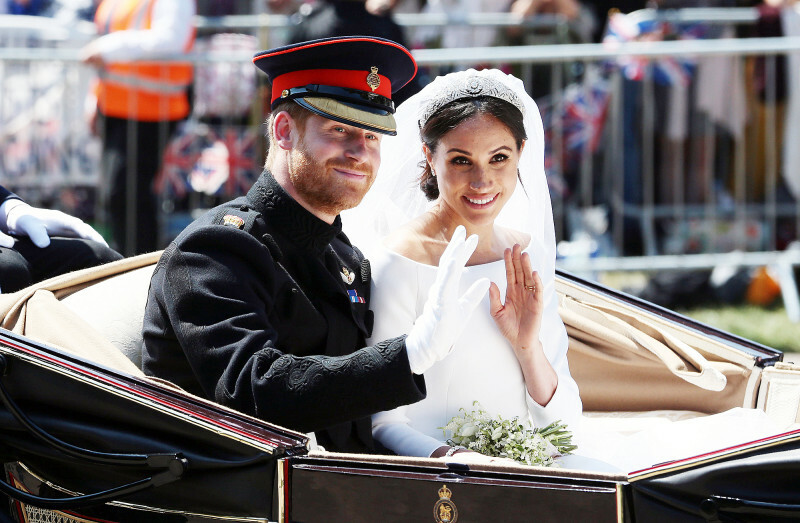 I love his zest for life, his fierce love which is so apparent for his darling Meghan and most of all that shy but darling smile. The way Harry bites his lip just as his mother used to is absolutely precious. After watching the wedding twice, yes live and then the re watch, I could barely take it all in. There were so many precious and well thought out details which I am sure made for such a special ceremony for them both. 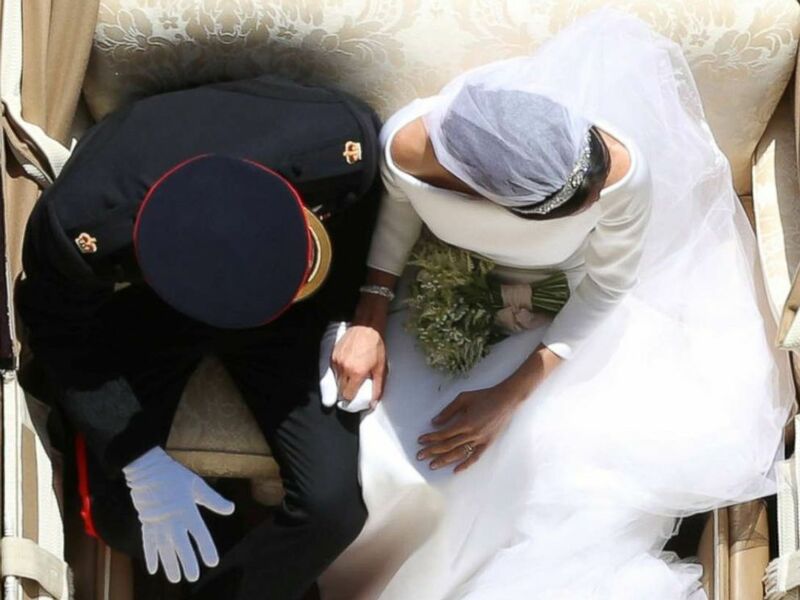 I love that they planned each and every detail and I love that Meghan knew exactly what she wanted. Watching the day unfold I could tell the strength and maturity of this precious woman. Her self confidence was absolutely amazing. 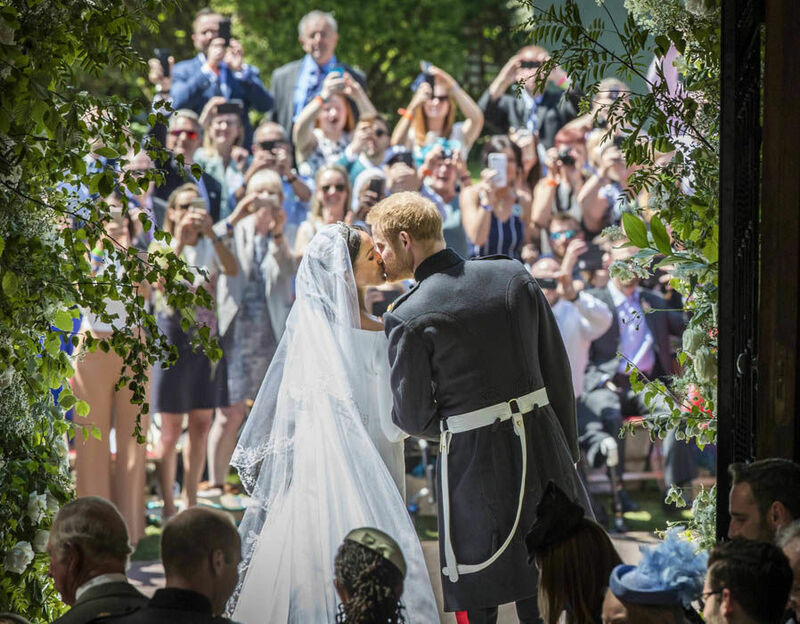 So many precious moments included in the wedding made it very apparent they missed Harry's mother so very much. I truly loved it all! Once I watched it twice then I read up on the details and researched so many things. 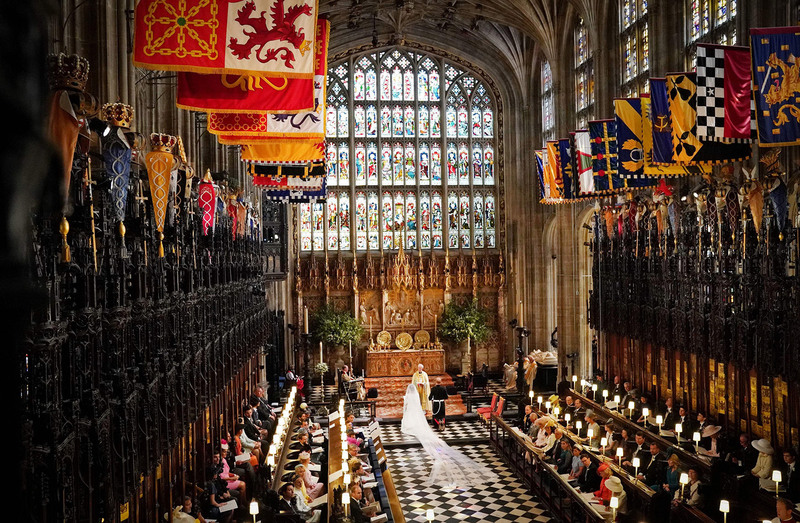 I learned so many wonderful details about the cathedral, the tiara, the dress and the location for the reception. I also read more than one article about weddings in England and the traditions that are included. It was all so fascinating. And when you are over caffeinated with numerous cups of tea it is amazing what you can get done. First of all her amazing dress. It was stunning, simple and oh so classic. I absolutely loved it. 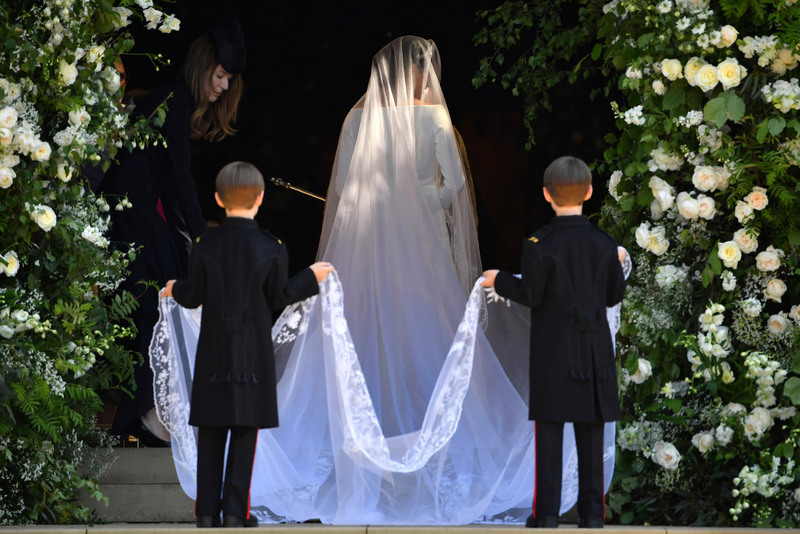 The details of her 16 foot veil and the trim embroidered with flowers from each of the 53 counties in the Commonwealth was truly spectacular. What a lovely detail. 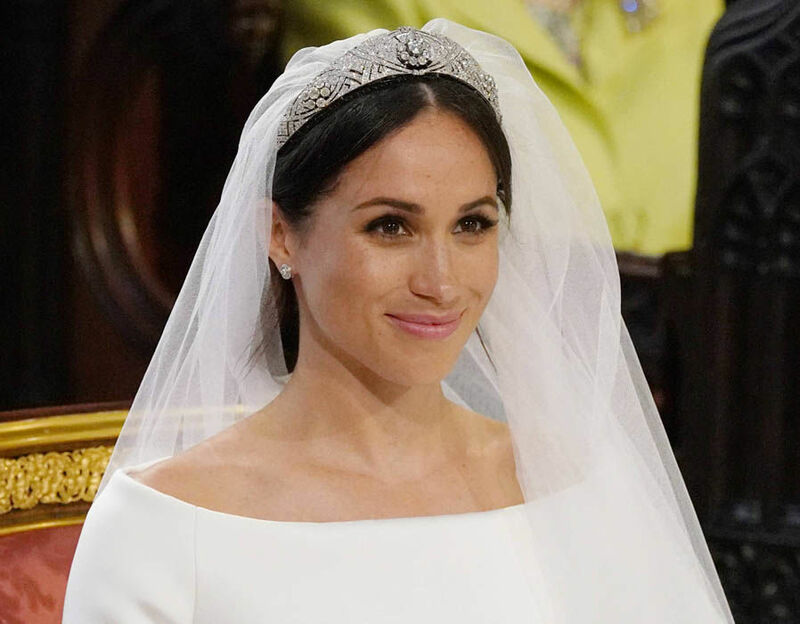 And, of course, the bandeau tiara which belonged to the Queen Elizabeth's grandmother Queen Mary. I could not have loved it more. So regal, so classic and so perfect. Watching him fold back her veil and fight back tears was so very special. The way they look at each other, you can just see the love. I watched as he told her she looked amazing and then said "I'm so lucky". There are no words. I pray for the same love for my own children from their spouses on their wedding day. The cathedral. So intimate, so beautiful and draped in so many beautiful white flowers with all of the green ... I could hardly take it all in. Truly, so very magical. 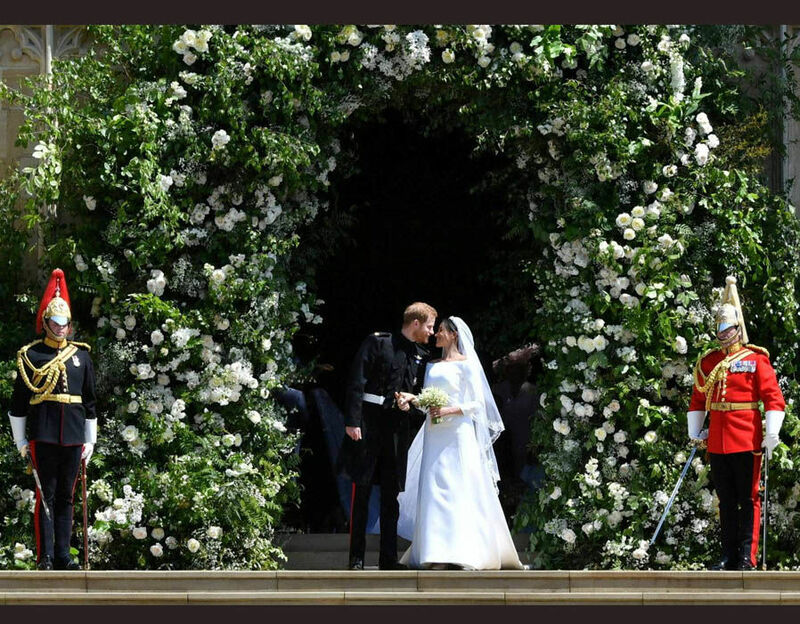 I am partial to green and white having chosen the same colors for flowers for my own wedding but I can promise you it was no where near the elegance and beauty of this one. This may be my favorite image from the entire collection all over the internet this weekend. The arch at the entrance to St. George's Cathedral where they stopped to great the public was nothing short of stunning. The sunlight and those incredible flowers and greenery, truly spectacular. It was right out of a storybook, the hard back ones we read as small children. And when he leaned over and kissed her I think I shed the most tears. The love and happiness between them was so apparent. The carriage ride was again right out of a story book. I loved seeing the sea of people lined up waiting for the chance to see the newlyweds. As they finished their 2.5 mile ride I loved the glimpses of the town of Windsor. It was so charming and the homes lining the ride so darling. I think what I loved most about this wedding was how intimate it felt, it made it so special. 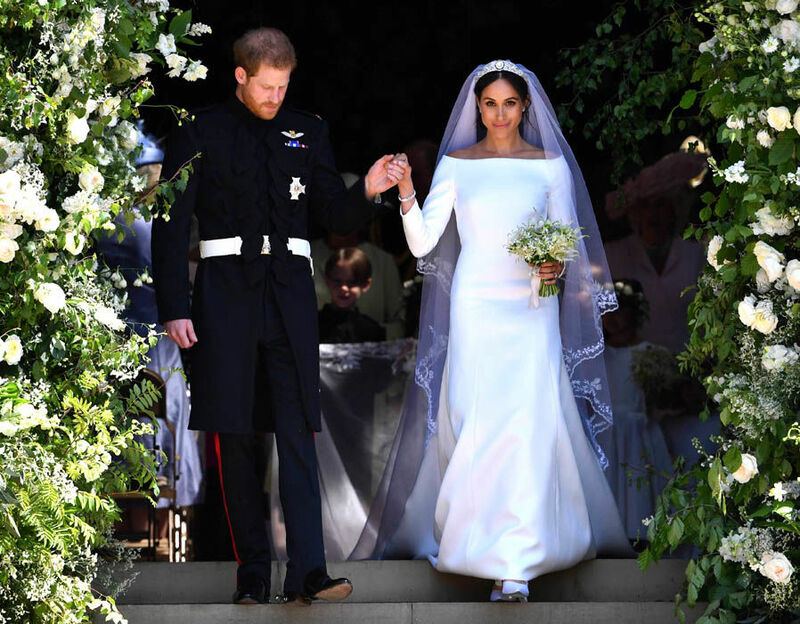 Meghan's dress for the evening reception was just as beautiful. 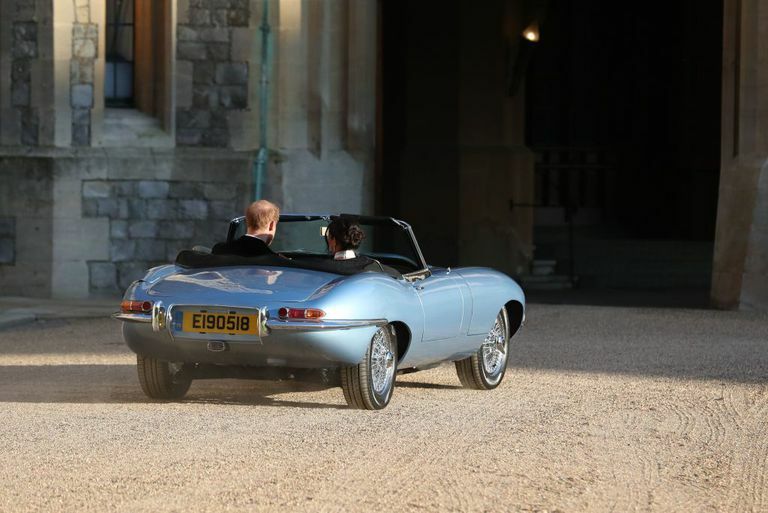 The brand new Duke and Duchess of Sussex looked absolutely incredible as they headed to Frogmore House in a vintage blue Jaguar. Spotted on her right hand was Diana's blue aquamarine ring. Her "something blue" tugged so hard at my heart. And the icing on the cake ... the license plate on the car. 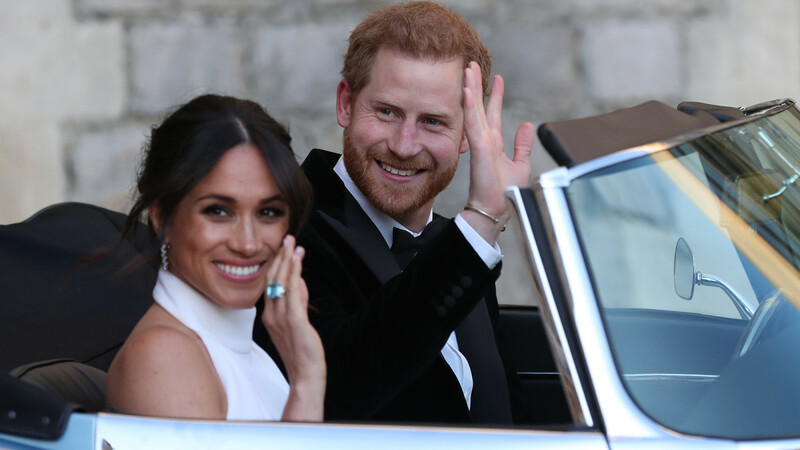 How special to see them leave Windsor Castle in a spectacular car with a wedding date license plate. 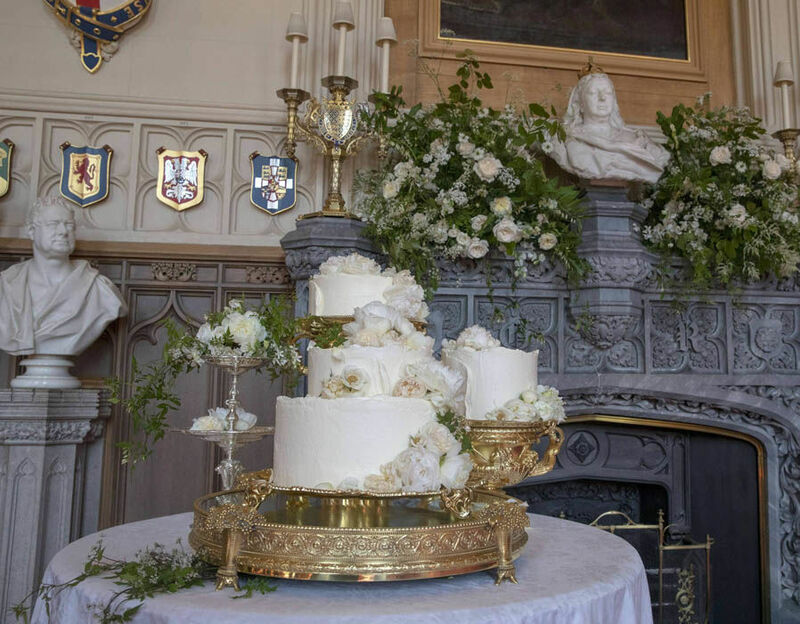 I always get sucked in by the details and this wedding was filled with so many of them. Have you read Mad About Meghan blog? I found so many wonderful little details in the posts and it is so informative for those of us who just can't get enough! I know I keep saying it, but it is truly, so very special.